Sixteen castaways are marooned on Nuku Hiva, a volcanic island in the South Pacific. The members of the two tribes, Maraamu and Rotu, paddle ashore in separate life rafts and set up camp. For immunity, each team lights a series of torches in the ocean from a canoe. The losing team goes to tribal council and votes out the first person. The castaways play for fishing gear in the "Do or Dive" reward challenge, in which members from each team must dive beneath the water and take heavy stones from a sunken boat. The first team to get their boat afloat and to land wins. For immunity, each tribe member must eat a smelly Marquesan delicacy called fafaru that consists of raw fish, fish bones, crab legs and lobster legs marinated in sea water and left in the sun for three days. The second person is voted off of the island. Each tribe builds a raft using bamboo and paddles it through a water course to pick up supplies. The first team to complete the course wins a choice of either rice or a collection of blankets, pillows and lanterns. For immunity, the players maneuver a coconut through a maze that is built inside an oversized wooden box. The third person is voted off of the island. The players assemble for what they believe is a reward challenge and are shocked to learn that the tribes are being switched around. For immunity, the newly formed tribes must unscramble a woven tapestry of interlaced pieces to reveal a design. The losing team votes out the fourth person from the game at tribal council. One tribe wins the right to take the opposing camp's food and supplies after completing a reward challenge that requires the teams to collect segments of four deconstructed tikis and put them together. For immunity, the tribes must create a distress signal that can be easily seen from a rescue boat. The best signal wins. The losing team goes to tribal council and votes out the fifth person from the game. The tribes try to win a picnic in the "Jungle Relay" reward challenge, in which teams use a canoe to retrieve a flag in the water after racing through the jungle to find two hidden paddles. For immunity, each tribe forms a human chain to collect numbered ladder rungs inside a maze. The first team to find all of their rungs and use them to climb a tower wins. The losing tribe votes out the game's sixth player. The two teams merge to form the Soliantu tribe. The castaways play for individual immunity for the first time in the "Sea Legs" challenge, which requires players to stand on a floating platform in choppy water. The last person standing wins. At tribal council, the seventh person is voted off of the island. The players try to win a reward that includes a giant chocolate bar and a scuba-diving trip to an exotic coral reef by constructing a kite and being the first one to fly it 300 feet in the air. For immunity, the castaways must answer questions about the Marquesas Islands. At tribal council, the eighth person is voted off the island. A review of the first 24 days on the island. The eight players divide into four teams of two to compete for a Marquesan feast that includes a helicopter trip over the islands and a horseback ride to a beautiful locale where the lavish banquet is held. To win, the pairs must be the first duo to fill a 3-ft.-tall bamboo shoot with coconut juice. The immunity challenge is "High Stepping," in which players attempt to knock each other off of stilts. The ninth person is voted off the island at tribal council. The reward challenge is "Rock Bottom," in which players jump off of a floating deck to retrieve shells from the ocean. The winner gets a day on a private cruise ship that includes a hot shower, clean clothes and a hot meal. For immunity it is "Virtues of Fire," a challenge that requires the castaways to build a fire that will ignite a wooden tower. The 10th person is voted off the island at tribal council. The six remaining players are each reunited with a loved one, who then tries to win a day on the island by outwitting the other friends and family members on a giant puzzle board. In the "Sands of Time" immunity challenge, the castaways use slingshots to break tiles. The 11th person is voted off the island at tribal council. The five remaining castaways play for a car in the reward challenge, which consists of elements from past contests, such as constructing a tiki, filling a bamboo tube with coconut juice, walking 10 feet on stilts and using a slingshot to break tiles. For immunity, the players answer questions about Marquesan folklore. The 12th person is voted off the island at tribal council. The final four castaways answer questions about the 12 previously ousted players to win immunity. Following the contest, one person is voted out. Next, the three remaining players again vie for immunity in an endurance challenge that requires them to stand on two logs while leaning against an idol. 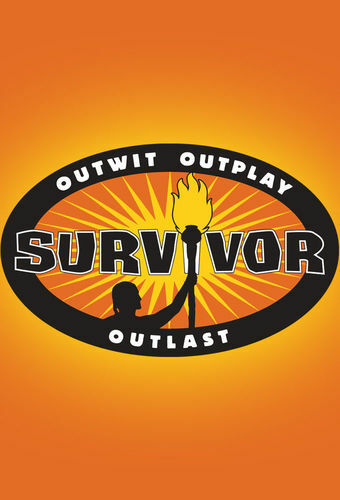 The last person standing wins the final immunity and then votes out one person. The jury then votes for the $1-million first-place-prize winner. The 16 contestants reunite in New York City's Central Park.